This is my last article on the topic that I started some weeks ago. I could write about wills for weeks as this is a subject that I enjoy quite a lot but I am aware that this would make my blog quite boring and repetitive. I have therefore decided to conclude with an article on one of my favourite topics within Wills and Succession and then move to new topics. The topic I will cover today is jurisdiction. Lets imagine a person called Joe Bloggs. He is British, English national and domiciled, lives in England and has assets in England and Spain. Joe is a cautious man, no surprise his nickname is Cautious Joe, and he has made 2 wills. One for Spain and the other one for England. On his death, his beneficiaries appoint an English law firm to deal with the estate. 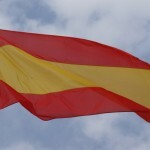 As there are some Spanish assets, the English law firm has to instruct a Spanish lawyer to help with the Spanish side. The first question the English lawyers ask the Spanish is the following: is the Spanish estate regulated by Spanish law or English law? The Spanish lawyer will probably look at the Spanish Civil Code and confirm that English law applies to the deceased’s estate as this is what is stated in article 9.8 of the Spanish Civil Code. The above would be the usual scenario but things are not as simple as they look because English law states that immovable assets (properties) are regulated by the law of the place where these are located. This means that there seems to be a conflict between English law, which states that Spanish law should apply, and Spanish law, which states that English law should apply. In general terms the conflict is resolved and English law is applied but this is not always the case, specially when the deceased died living in Spain with all his assets in that country. There are two good ways to avoid the potential application of Spanish law to the Spanish estate of an English person (and therefore avoid the strict forceship rules of Spanish Inheritance Law). The first one is to include a clause on the Spanish will to confirm that the testator wants English law to apply to his Spanish estate. 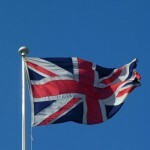 The second one is to keep some assets in England to ensure that the jurisdiction is not returned back to Spain. Sometimes is sufficient with keeping a parking space or a bank account with a relevant amount of money but when in doubt a property would prove the best option. If the above is not done, then the testator may have his will challenged by one of the forced heirs under Spanish law (spouses, children and, in certain occcasions, parents) if he/she has been ignored in the will. This is a fascinating topic that is evolving constantly. However, the above recommendations will help to avoid future problems for the loved ones.